Dr John Woollard is Senior Teaching Fellow within Southampton Education School at the University of Southampton. John’s work at the University focuses upon the support of doctorate students in the field of e-learning, computational thinking and the developing computing curriculum. He also supports researchers in the field of special educational needs and specific learning difficulties. Following his PGCE and teaching at primary level, in 1975 John moved into secondary school special education needs work. He was teacher-in-charge and head of department (SENCo) in three different Hampshire schools before becoming a teacher advisor for IT and Special Education Needs. During the early 1990s John had a variety of positions as consultant, advisor and inspector. John was a Registered OFSTED Inspector for primary schools as well as team inspector for secondary ICT, mathematics and Special Education Needs. 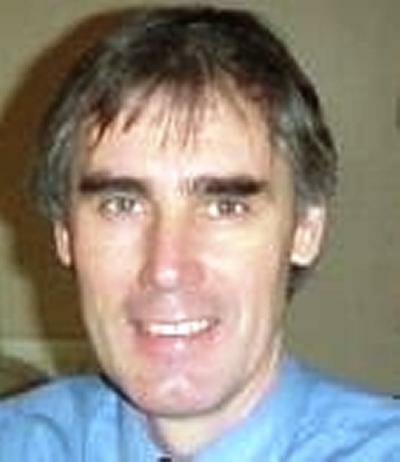 In 1997 John moved to LSU College, Southampton to coordinate the MSc in computer based learning course and teach Special Education Needs on the Initial Teacher Training programme. He also taught undergraduate computer science. John joined the School of Education in 1998 and has completed his PhD in 2004. His research focus was pedagogy and the teaching of difficult concepts in and with computers including e-learning and computer assisted assessment. John contributes regularly to the review of current academic and professional literature relating to initial teacher training, in-service training and information and communications technology through the Teacher Training Resources Bank. He also supports new teacher trainers through one-to-one mentoring and contributions to the ICT Tutors network. John was consultant editor of InteracTive - a professional magazine for teachers of ICT. He is an active member of ITTE (IT in Teacher Education Association) and contributes to the research conference on a regular basis. He is chair of Technical SIG (special interest group). John is a member of the Computers at School group based in Cambridge and has developing key stage 3 material to support computer programming, a guide for computational thinking and many teaching resources for computer science for primary and secondary pupils. John was the academic advisor to the CAS Barefoot project and project coordinator for Tenderfoot. John's consultancy has recently included work for: Microsoft Computers; Childnet International (a child safety charity); British Safety Council (through a KTP project); and the TDA including projects on "diversity and opportunity", e-safety and the provision of training resources and case studies to support the "Professional Standards". John also contributed to the GTP as a subject tutor for ICT, a subject assessor for ICT from 2009 and as an ICT across the curriculum assessor. John has advised on the development of ICT and computing GCE courses in Egypt and Kazakhstan. John is an assessor for the BCS Certificate in Computer Science Teaching. John is a doctorate supervisor. Current and past student research has included: teacher attitudes to ICT; using chat and online facilities to support language learning and pastoral support; and developing alternative pedagogies to support e-learning and blended learning and more recently studies in special educational needs CPD and computational thinking. He has externally examined 9 EdD and PhD vivas. John has seen successfully guided 11 students through to their final doctoral viva. Mindetbay, Y. A., Bokhove, C., & Woollard, J. (Accepted/In press). What is the relationship between students’ computational thinking performance and school achievement? International Journal of Computer Science Education in Schools. Longman, D., Jones, L., Clarke, R., & Woollard, J. (2009). ICT and special educational needs. ICT-Tutors. Gillespie, H., & Woollard, J. (2009). Personalisation. Association for Information Technology in Teacher Education: Initial Teacher Training. Longman, D., Jones, L., Clarke, R., & Woollard, J. (2008). Delivering high quality training. ITTE Initial Teacher Training, 1-6. Woollard, W. J. (2007). TTRB Review. 14-19 and digital technologies: a review of research and projects. Teacher Training Resource Bank. Woollard, W. J. (2007). TTRB Review: Games and learning - a handbook from Futurelab. Teacher Training Resource Bank. Woollard, W. J. (2007). TTRB Review: Primary community's sharing success magazine. Teacher Training Resource Bank. Woollard, W. J. (2007). TTRB Review: School Improvement through ICT: a guide for primary school teachers. Teacher Training Resource Bank. Woollard, W. J. (2006). Other qualifications and awards in ICT. ICT-Tutors. Woollard, W. J., & Short, D. (2006). Teaching ICT at Key Stage 3. ICT-Tutors. Woollard, J. (2006). Teaching ICT at Key Stage 4. ICT-Tutors. Woollard, W. J. (2006). TTRB Review: NATIONAL CURRICULUM IN ACTION :ICT. Teacher Training Resource Bank. Woollard, W. J. (2006). Working with Adults. ICT-Tutors. Woollard, W. J., & Jeans, R. (Ed.) (2003). Beyond map skills. Mapping News, (24), 14-15. Woollard, J. (Accepted/In press). Psychology for the classroom: e-learning. (Psychology for the Classroom). Abingdon, GB: Routledge. Woollard, J. (2010). Psychology for the classroom: behaviourism. (Psychology for the Classroom). Oxford, UK: Routledge/David Fulton Education. Pritchard, A., & Woollard, J. (2010). Psychology for the classroom: constructivism and social learning. (Psychology for the Classroom). Oxford, UK: Routledge/David Fulton Education. Hammond, M., Younie, S., Woollard, W. J., Cartwright, V., & Benzie, D. (2009). What does our past involvement with computers tell us? A view from the research community. Coventry, UK: Centre for New Technologies Research in Education. Woollard, W. J. (2006). Prediction. In S. Kennewell, A. Connell, A. Edwards, M. Hammond, & C. Wickens (Eds. ), A Practical Guide to Teaching ICT in the Secondary School (pp. 61-73). (Routledge Teaching Guides). London, UK: Routledge. Cooke, J., & Woollard, J. (2006). Visual literacy and painting with technology: observations in the early year’s classroom. In M. Hayes, & D. Whitebread (Eds. ), ICT in the Early Years (pp. 107-123). Maidenhead, UK: McGraw-Hill. Binti A. Rahman, A., Harun, F. A., & Woollard, J. (Accepted/In press). Collecting data via instant messaging interview and face-to-face interview: the two authors reflections. Paper presented at INTED 2019, Valencia, Spain. Mindetbay, Y. A., & Woollard, J. (2019). Proving what is thought: The efficacy of MCQs. Paper presented at CAS Research Meeting, Cambridge, United Kingdom. Binti Salleh, R., & Woollard, J. (2019). Towards inclusive training for inclusive education: (teachers' views about effective professional development for promoting inclusive education). Paper presented at INTED 2019, Valencia, Spain. Binti A.Rahman, A., & Woollard, J. (2018). Neurodiversity awareness: Is Malaysia there yet?. Paper presented at 3rd Technical and Vocational Education & Training International Conference, Johur, Malaysia. Alharthi, E., & Woollard, J. (Accepted/In press). Evaluation in Saudi schools: the use of e-portfolio. Paper presented at INTED2015, the 9th International Technology, Education and Development Conference, . Selby, C., Dorling, M., & Woollard, J. (2015). Evidence of assessing computational thinking. Paper presented at IFIP TC3 Working Conference: a New Culture of Learning: Computing and Next Generations, Lithuania. Alomary, A., & Woollard, J. (2015). How is technology accepted by users? A review of technology acceptance models and theories. Paper presented at 5th International Conference on 4E, United Kingdom. Catlin, D., & Woollard, J. (2014). Educational robots and computational thinking. Paper presented at Teaching Robotics & Teaching with Robotics (TRTWR) - Robotics in Education (RIE) 2014 Conference, Padova, Italy, Italy. Blair, R., Millard, D., & Woollard, J. (2014). Perceptions of school children of using social media for learning. Paper presented at E-LEARN 2014 - World Conference on E-Learning, United States. Bradshaw, P., & Woollard, J. (2012). Computing at school: an emergent community of practice for a re-emergent subject. nternational Conference on ICT in Education, Greece. Ageel, M., & Woollard, J. (2012). Enhancing university teachers’ information and communication technology usage by using a virtual learning environment training course. Paper presented at 6th International Technology, Education and Development Conference, INTED2012, Spain. Mohamad, M., & Woollard, J. (2012). Issues and challenges in implementing mobile learning in malaysian schools. Paper presented at 6th International Technology, Education and Development Conference, Spain. Ibraheem, A., & John, W. (2012). The potential of wiki technology as an e-learning tool in science and education; perspectives of undergraduate students in Al-Baha university, Saudi Arabia. Paper presented at 2nd International Conference on E-Learning & Knowledge Management, Malaysia. Stark, R., & Woollard, J. (2011). CAA 2011: Implementing e-portfolios in secondary schools: the lessons to be learned from higher education. Paper presented at CAA 2011, . Al Dobaikhi, H., & Woollard, J. (2011). Evaluation of asynchronous E-learning in the geography curriculum: enriching learning quality in Saudi high schools. Paper presented at EeL2011: Annual International Conference on Education & e-Learning, Singapore. Pau, R., Grace, M., Hall, W., & Woollard, J. (Accepted/In press). Female students' experiences of programming: It's not all bad!. Paper presented at ITiCSE 2011, Germany. Mohamad, M., & Woollard, J. (2011). Mobile learning in Malaysian schools: opportunities and challenges. Paper presented at Ireland International Conference on Education (IICE-2011), Ireland. Scopes, L. J. M., & Woollard, J. (2010). It’s personal; what are the rights and responsibilities of the learner’s avatar?. Information Technology in Teacher Education Conference 2010, United Kingdom. Woollard, J., & Scopes, L. J. M. (2010). When the game becomes serious: what are the rights and responsibilities of the learner’s avatar in the virtual world?. "InterFace 2010: Humanities and Technology" The 2nd International Symposium for Humanities and Technology, United Kingdom. Woollard, J., & Scopes, L. J. M. (2010). When the game becomes serious; what are the rights and responsibilities of the learner’s avatar in the virtual world? In S. Czanner, & J. Happa (Eds. ), Proceedings of Interface 2010 (pp. 51-52). Coventry, GB: Visualisation Group, University of Warwick. Woollard, W. J. (2009). Computer programming for Key Stage 3. Paper presented at Computing at School Conference, . Abd El-Gawad, T. S. A. E-B., & Woollard, J. (2009). Developing an e-learning quality model for higher education. Paper presented at INSPIRE 2009, . Mohamad, M., & Woollard, D. W. (2009). English language learning through mobile technology in Malaysian schools: an implementation strategy. Paper presented at International Conference on E-learning, Malaysia. Woollard, J. (2008). EPS in the School of Education, University of Southampton. 10th ITTE Research Seminar, . Woollard, J. (2008). E-safety: evaluation of training materials for initial teacher education. Paper presented at BCS Education and Training Forum: e-Security in an e-School, United Kingdom. Woollard, J. (2008). E-safety: evaluation of training materials for initial teacher education. Paper presented at E-security in an E-school: BCS Education and Training Expert Panel, . Woollard, W. J. (2008). Safe Online: Our responsibility... ensure young people “stay safe”. British Computer Society (Southern area) Meeting October 2008, . Wijayawardena, G., & Woollard, J. (2007). Building e-learning on the Web. School of Education Reaserch Seminar, United Kingdom. Woollard, J. (2005). Are stories as good as the truth; the role of the pedagogic metaphor. Paper presented at 9th ITTE Research Conference, . Curzon, P., Dorling, M., Ng, T., Selby, C., & Woollard, J. (2014). Developing computational thinking in the classroom: a framework. Swindon, GB: Computing At School. Selby, C., & Woollard, J. (2013). Computational thinking: the developing definition. University of Southampton (E-prints). Woollard, J., Peyton-Jones, S., Mitchell, B., & BCS (The Chartered Institute for IT) (2011). Submission to the Commons Select Committee on Education. Southampton, GB: Computing At School. Woollard, J. (Ed.) (2009). Computer programming in key stage 3. Cambridge, UK: Computing At School. Reilly, L., & Woollard, J. (2009). Professional standards support for curriculum mentors: report on the TDA funded ‘Professional Standards Support for Curriculum mentors’ at the University of Southampton. Southampton, UK: School of Education, University of Southampton. Phillips, D., & Woollard, J. (2016). The developing concept of “computational thinking”. Southampton, GB: University of Southampton. Selby, C., Dorling, M., & Woollard, J. (2014). Evidence of assessing computational thinking. (pp. 1-11). University of Southampton. Selby, C., & Woollard, J. (2014). Refining an understanding of computational thinking. (pp. 1-23). University of Southampton. Dong Ye: Can second language acquisition through chat room discussion be effective? Mohammed Ageel: Can using a VLE increase the use of ICT by lecturers in Jazan University in Saudi Arabia? Hend Aldobaikhi: Can communities of practice support girls learning in Saudi Arabia? Ebetsam Alharthi: Can e-portfolios support continuing professional development and evaluation of teachers in Saudi Arabia? Ibraheem Alzahrani: Can using WIKIs support science students in Saudi Arabia? Mariam Mohamad: Can mobile learning in English Language subject be implemented in Malaysia? Andy Neil: How do teachers create and capitalise upon ‘moments of contingency’? Cynthia Selby: What makes a good first programming language for use by further education students? Munif Alrashidi: To what extent does readiness in e-learning to improve public education in Kuwait? Rob Blair: How does social networking support teenagers learning? Azza Alomary: What are the critical success factors in the use of tablet technology in higher education (Saudi context)? Faisal Almutairi: Can authoring video and collaboration enhance higher education learning? Ebrahim Alenezi: What are the attitudes of teachers to using technology in Kuwait schools? Debbie Collins: How can technology support learning oin postgraduate research methodologies? Lily Salleh: What are the critical factoring effecting implementation of SEN policies in Malaysia? Samyah Alshehri: Does the computing curriculum support thinking skills in the primary school? Keith Pretty: How can monitoring technology in the form of apps support student engagement and learning? Aida Rahman: What factors benefit teachers and parents understanding dyslexia through websites?